Ariel Arrieta is cofounder of NXTP Labs, which hosted the LatAm Invades Silicon Valley this week in Mountain View. Back in December 2012, Google announced plans to open a $150 million data center in Chile, noting, “As Internet usage in Latin America grows, people are looking for information and entertainment, new business opportunities and better ways to connect with friends and family near and far.” But it’s not just the Internet usage that is growing in Latin America, it’s also the startup community that has begun to boom in the region. The market conditions in Latin America are improving, while the rest of the world remains stagnant or on the decline. This, coupled with a very young population, has set up a prosperous climate for technology startups to spring up in the area. These startups are filling a clear need that has arisen in Latin America, as Internet and mobile uses continue to increase. Half of the top 10 worldwide markets that spend the most time on social media sites, notably Facebook and Twitter, are in Latin America. Furthermore, it’s expected that more than $4 billion will be allocated to online advertising targeting Latin America in 2014. So why should anyone care? There are plenty of startups in North America, so why care about the neighbors to the South? Because they are making a lot of noise. Latin American countries are booming when it comes to the startup culture — and investors are beginning to take notice. We’ve heard about the Brazilian boom, but also the Chilean government declared 2013 to be the ‘Year of Innovation’ and continues to back Startup Chile, which provides $40,000 USD for startups to move to Chile for six months to start their business. The venture incubator Movistar Innova, also in Chile, has over 600 startups registered. These two ventures are part of the reason why The Economist has dubbed Santiago “Chilecon Valley”. But the innovation doesn’t stop in Chile. Medellín, Colombia, a city once synonymous with the Colombian drug trade, has been named the most innovative city in the world by The Wall Street Journal and the Urban Land Institute. Uruguay has partnered with One Laptop Per Child to provide all of their youth in the country with computers. Brazil’s innovation agency, FINEP, has requested over $18 billion USD to support new innovative initiatives in business, education, and research. Successful startups are also coming from Argentina, where auction site MercadoLibre, went public on the Nasdaq with a US$400m IPO in 2007. Many global analysts see Latin America as an untapped market, where early stage investors can latch on to prominent startups. The startups themselves are benefiting from global financial distress, as they have become headhunters for top talent coming from Europe and the United States. While success stories are popping up all over Latin America, investment and government issues make innovation difficult. The Latin American startup culture, which began about 14 years ago, has much to learn and much to gain by coming to the US. Not to mention, dollars are a more stable investment than many local currencies. With that, we are seeing more and more viagra cheap Latin American companies doing their IPOs in Nasdaq. Latin American companies can raise some seed funding, but they are often blocked by financial constraint and taxation issues within their own countries. So when startups need serious money, they typically turn to Silicon Valley or New York. The technology is also a concern, as Latin America is behind the global curve in terms of advancement, and this problem doesn’t seem like it will be addressed soon. Only 14% of business leaders considered investments in technology to be a priority, though 84% of this same group agreed that technology helped drive competition, according to a study by UPS. While Latin America’s high-tech industry is small, there is still progress. For now there is no competing with Silicon Valley as the hub for innovation, investment, and opportunity in the startup world. However, big advancements are taking place in Latin America, and investors are finding untapped opportunity as well. 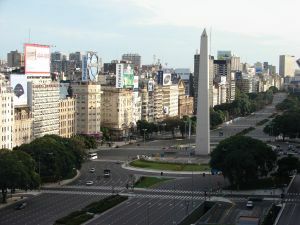 The startup culture in Latin America is just beginning to take off, so I’m sure we’ll see much to come in the region. This entry was posted in Y algo mas... and tagged Beginning, Boom, invades, latam, NXTP Labs, Silicon Valley, startups, Technology, Venture Beat by admin. Bookmark the permalink.